Evers Youth Empowerment Day is about providing Mississippi youth of color with education, training, character development and team building skills that will empower them to become actively engaged in their communities. Program components include academic training, community service and physical activity. These activities instill within our youth, honor, confidence, hope, forgiveness, and responsibility. Values we want to see all of our youth embody each day. 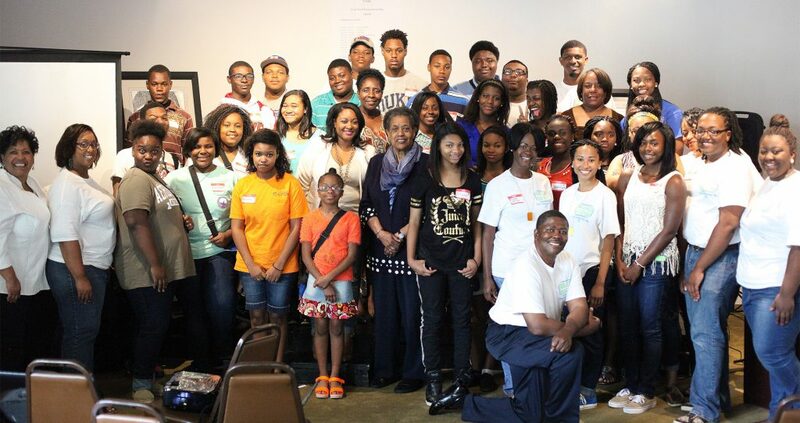 The Medgar & Myrlie Evers Institute is a not-for-profit charitable corporation. Contributions are tax deductible to the full extent of the law under the IRS Code Section 501(c)(3). Stay informed about MMEI events, activities, and programs. Copyright © 2019 Evers Institute. Powered by WordPress.